Hello heat wave! It’s been preeeeetty bad lately. Every time I stepped outside, it felt like I was walking into a sauna. I didn’t really feel like cooking and had been craving pizza but the last thing I really wanted to do was eat something hot for lunch while the temperature was 30+C (86+F). That’s when I whipped up this chicken pepperoni pasta salad. It’s a healthier take on pizza as it becomes a salad and it’s cold! 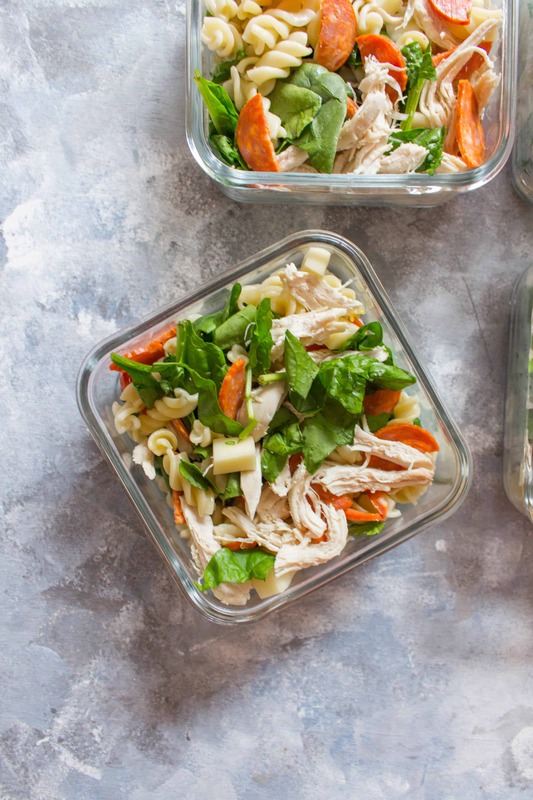 It’s also perfect as a cold work lunch or a potluck/picnic pasta to make. To go with the chicken pepperoni pasta salad, I mixed together my own lemon garlic dressing. I’ve started making my own dressings recently whenever I had time so I would know what was in it and cuts down on the calories. It’s actually pretty easy – I mixed together some minced garlic, lemon juice, lemon zest, olive oil, mustard powder, and salt/pepper. Pretty much all the ingredients that were already in my kitchen. If you want to mix it up, you can switch out the spinach and add in mixed greens or peas/beans or broccoli! You can also switch out the mozzarella for whatever cheese you have on hand as well. This pasta salad is very versatile! 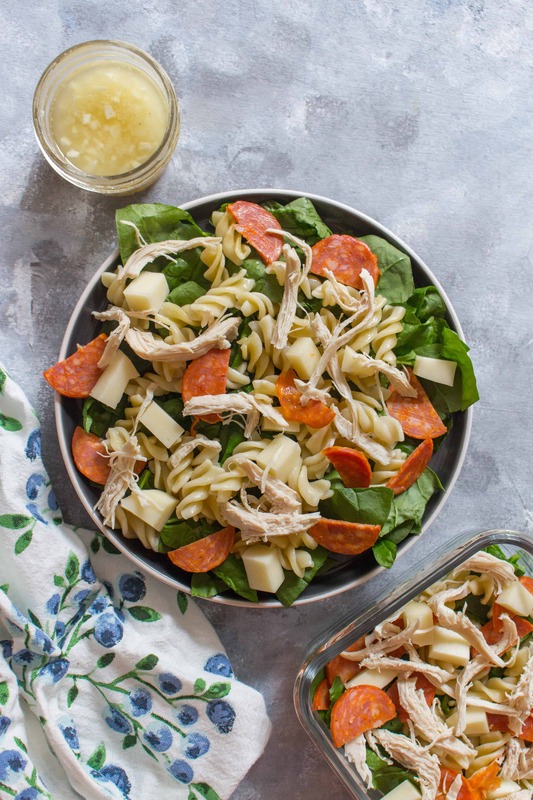 Perfect for hot summer days, this easy chicken pepperoni pasta salad is just what you need! 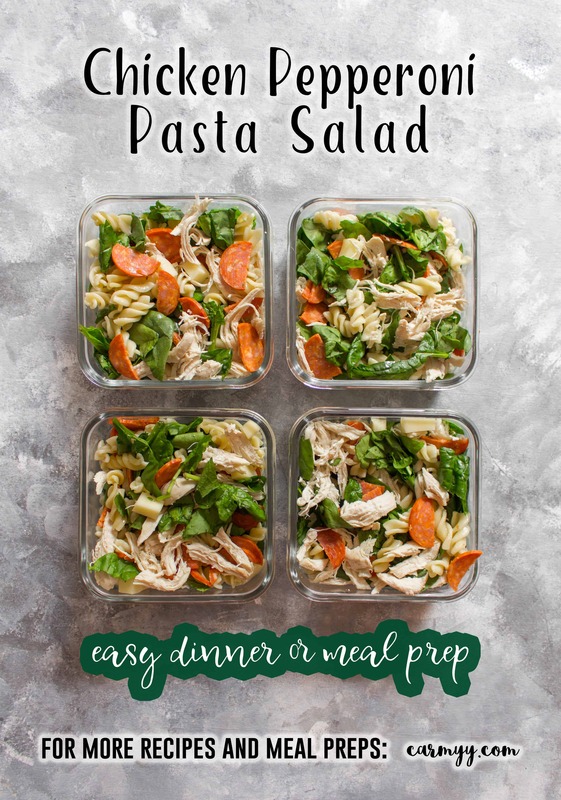 Plus, this pasta salad is great for meal preps if you have don't have access to a microwave. Add all the ingredients into a small mason jar and whisk to combine everything (or seal and shake the jar). Set aside to add the the pasta salad on the day of. 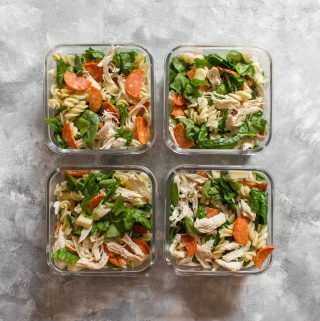 In your meal prep containers or a large container, mix together your pasta, shredded chicken, mozzarella, pepperoni slices, and spinach. 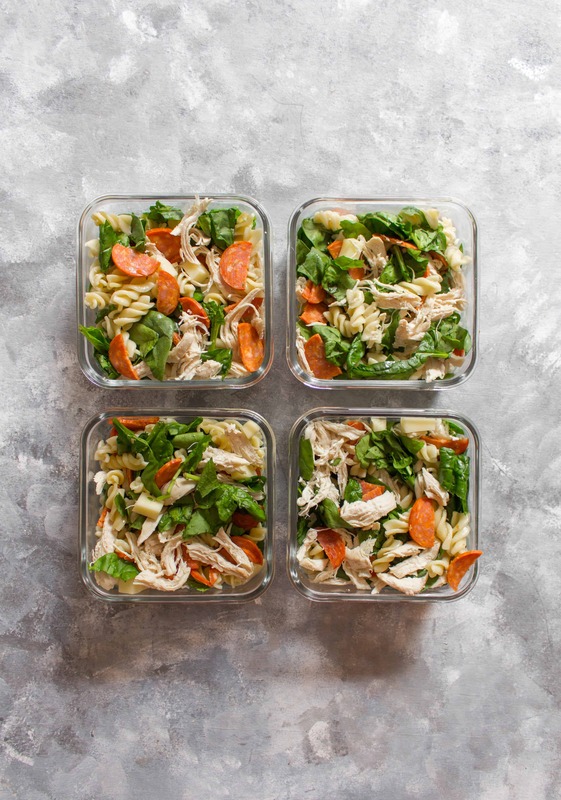 Before bringing your meal prep pasta to work or serving, drizzle on 1 tbsp of salad dressing per serving. Sounds like the perfect summer go-to salad. I love that it can be made in advance and you gave wonderful and clear tips about storing the dressing separately. Perfect for the pot-luck I’m going to. Thanks for sharing. Oh my gosh, yes this heat! The last thing you want to do is cook, especially pizza. What a great (and healthier) solution!! Love the sound of this salad. This would be great for BBQ parties. I know it would disappear in a flash. I think I could make a meal on this alone. Delicious. I agree – it’s too hot to cook out and salads have quickly become my go-to form of sustenance these last few weeks. The pepperoni and chicken in this dish really take it to the next level, too. Love those cute little containers and jars you’ve found for the meal prep too. That makes lunches so much easier. This is brilliant! I love pasta salad and pizza but would have never thought to put them together and make them into a cold salad. I’m totally down for avoiding hot meals in this heat. I’m also digging that you made a homemade garlic lemon salad dressing to drizzle on it. Why have I never thought to combine chicken with pepperoni!? This looks amazing, fresh and super easy. Now that’s my kind of meal. Perfect for summer nights! 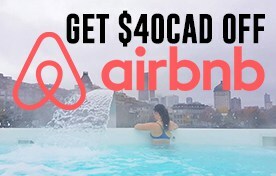 Bonus because my kids will absolutely love it too!! Wow! This is such a great salad for BBQs and outdoor parties. Love the recipe and absolutely will be making this. I need something for this weekend, and this fits the bill perfectly. Yum. Pepperoni in pasta salad takes me to our family picnics when I was a child! My mom always made one with pepperoni and it was a hit at our picnics and barbecues. I love that you have chicken in yours as well, and that homemade dressing sounds divine! What a great summer lunch idea, especially for entertaining, or prepping ahead and packing. This is the perfect salad for a summer picnic, potluck, or gathering. I like that you use a light dressing on it rather than one of those heavy bottled ones. Homemade is so much better! And I think the addition of the pepperoni adds a nice zip to the dish. My family would gobble this up. 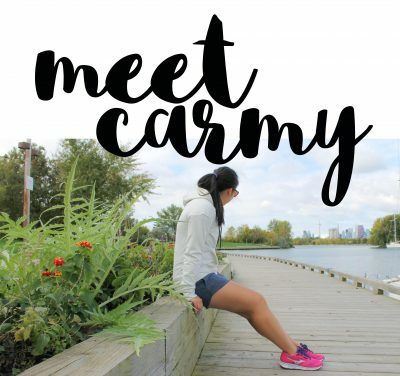 I love this, Carmy! This is such a great way to turn the humdrum idea of salad into something fun; something to look forward to at lunch! Salads can be exciting, it’s just kind of easy to run out of ideas after a while. But this! This really amps things up. Even better than you can prep them in advance.